Who is Ann Patchett and Why Should Your Company Care? Are you doing enough to promote yourself? Doing enough to promote your company? Are you doing enough to promote your industry? Hmm, did that last question get you? If you think your industry is riding high right now, keep in mind the turnaround from uphill to downhill can be quite quick. Believe it or not, I’m going to tell you to follow an author’s lead. Ann Patchett is the author who is a shining example of how to treat your fans and customers and, hence, preserve an industry. 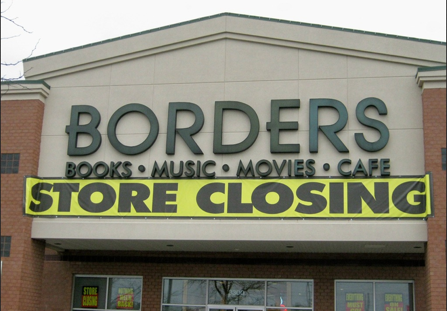 Over the past several years, bookstores have been closing like mad. When big-house bookstore Borders went down, Ann Patchett had had enough. She wasn’t just sad about it like the rest of us. She decided to take matters into her own hands and started a bookstore of her own. I think of this as my gift to the city: This is what I want to see in Nashville, and if I want to live in a city with a bookstore, then I’m willing to pay for it. Putting her money where her mouth is—how refreshing. That’s what more of us need to do—take action. But we should probably start being more proactive about it than reactive. I was in Target the other day (cooling off from the 100-degree heat) and already had a book in my hand to purchase when I saw State of Wonder by Patchett. I had only read one book of hers (Run), but I knew from the very first pages of that novel that she was an excellent writer. As a reader, I feel almost like she was speaking to me, handing me the book herself. I don’t need any more reasons to love Target, but Patchett also does a great job promoting the retail giant and making us feel like there’s a fabulous collaboration taking place here. Maybe if we all kept that big picture in mind and showed our appreciation more often, we’d have more industries and professions that continue to find ways to work together and grow. If your profession is already in danger, think of ways you can change the profession or the environment to make it last. Think of other companies or industries you can join forces with for an innovative or just plain smart and profitable partnership. And if your profession is not in danger (yet), do the same thing—think of ways to change and grow. Think of smart collaborations to pursue. Technology changes fast. This world changes so quickly. Don’t wait for the change, be it! This is the only way to steer your own course. 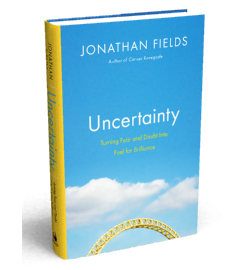 Author Jonathan Fields draws on research, science and his own personal experience to show us how to do just that—use uncertainty to your advantage. How a person, especially a businessperson, handles these three things determines whether you and your business will be successful. Rituals and routines are examples. Your certainty anchor might simply be following the same schedule every day—wake at a certain time, work at certain times, eat at certain times. Fields explains how to identify the rituals, routines or other anchors that might work for you. Handling judgment and constructive criticism is crucial to being able to get through the entire creation process—whether you’re creating a work of art, a new technology or a new business. Building your own creativity hive—or finding one to join—is about being around people who who are similarly creating and who you can share the process with. This includes having mentors as well. Your “hive” can be online or in person. 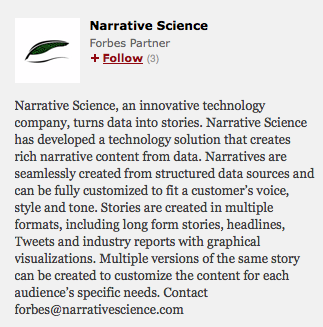 Startup incubators are a good example of the sort of hive Fields is talking about. He also mentions Scott Belsky’s Behance network. When dealing with uncertainty, it’s very important that you have something that grounds you. Fields introduces readers to different types of attentional training—daily contemplation-driven practices that require a focused awareness. Active attentional training is participating in an activity that gets you “in the zone.” If you’ve been there, you know what I am (and he is) talking about. For me, I used to find this zone in an art studio. Once I started drawing and shaping and shading what I was drawing, hours could pass and I would barely notice time because I was so focused on what I was doing. Rock climbing is another activity I find works. You’re so focused on your next hold or your next few holds, you’re not thinking about anything else but climbing. All the day’s cares fade away. Relief: Peace of Mind or Loss of Anxiety? Have you ever made a decision to walk away from something and felt good about it? Are you sure you made the right decision? Fields brings up an important question: Is the euphoria you feel simply a relief from anxiety of dealing with building a business—dealing with uncertainty? Or is it a sign you’re at peace with your decision? There’s a touching moment in the book (pages 155-157) in which Fields is talking to a client, Anne. Anne feels restful and “like a weight has been lifted” after deciding to shut down her business. It’s a powerful moment. And it represents a snapshot of what this entire book is about. Sometimes we need a different perspective to know for sure in which direction to head. This book gives perspective and reminds us that uncertainty is a tool. It’s a necessity that means you are creating something new. Uncertainty is not groundbreaking, but it is eye-opening. Reading it should make you more comfortable with uncertainty, and you’ll gain instruction on how to use it to your advantage. Let’s face it—the leap of faith required to follow a dream is usually accomplished by gut-wrenching, knee-quaking, soul-shaking fear. Jonathan Fields knows this—but instead of offering an empty pep talk, he delivers daily practices that can help you transform fear and uncertainty into confidence and creativity. True. 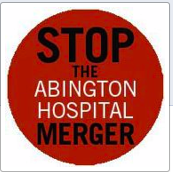 But don’t take our words for it, read the book for yourself and see what you think. Does This Dart Hit Its Target? Good copywriting always catches my eye, so I decided to investigate Dodge’s promoted tweet today. “Build a car that will change everything” is a strong statement. Does this new car live up to the high expectations Dodge just set? Gotta say, I like it. Let’s take a look and then let me know what you think. Excellent tone and pacing in this advertisement. It’s fast enough to keep your attention, but not monotone. The pauses set in, for example, around “sleep…okay, that’s enough sleep” are perfect. The script is fantastic, especially for a car company. There’s not too much detail thrown at you. Humor is there, but not forced or overdone. “Start with a simple idea” it begins and it continues by executing these simple ideas very well. The right words work with the video for a pace that engages and builds expectation. Instead of a straight-through video, images shoot out at you in a fast-paced montage. Notice all the people working on the car are young–not 20-young, but young looking. So, here’s the question–Does this Dart ad appeal to its target audience or not? I think the answer is yes…for the most part. You can tell Dodge is going after a young, hip audience here. And to their credit, they don’t seem like a stodgy, old car company pretending they get Gen-Y likes, needs and personality. Starting price just under $16,000 for what seems like a cool car, or cool enough anyway, is a great takeaway. It’s placed near the end so you’re more likely to remember it. Plus, they didn’t lead with price because they want you to like the car first. 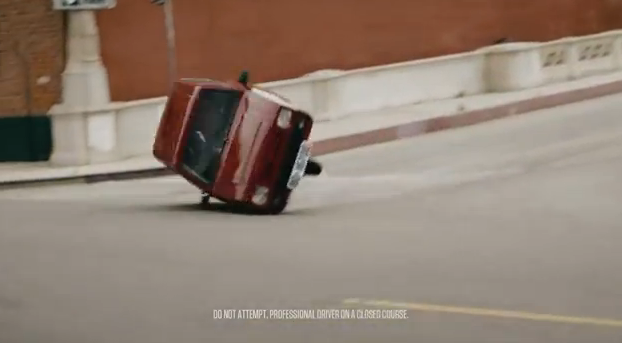 And I think the video does give the viewer a good impression of the car–good enough to go test drive even. I’m not sure why they featured Tom Brady at the end as their “celebrity endorser.” The way they introduced him was cute and fitting with the vibe of the rest of their video, but does Tom Brady really appeal to Gen Y? 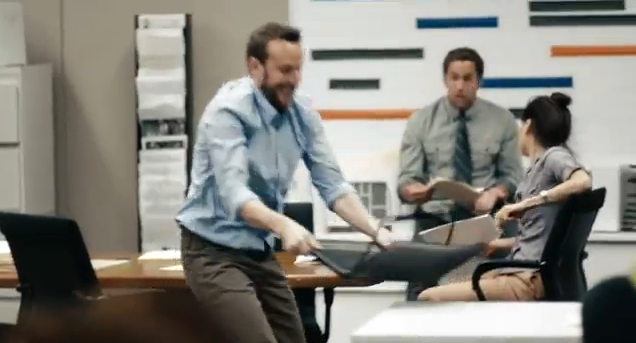 After viewing the Dodge Dart commercial for yourself, what do you think? Did Dodge hit the mark with this one? Note to fellow WordPressers: Make sure when you try and embed your YouTube video that you’re not logged into Google. The link you get will then be a secure link and the video won’t embed. Get the unsecure link and all will work fine. Thanks to Jackie at WP for her quick and helpful reply.